Before Apple starts taking pre-orders for the iPhone X, the company released on Wednesday a 6-page security white paper about the device’s main feature: Face ID. Face ID has raised numerous questions about the technology, including concerns about privacy and security. Doubts about Face ID come from consumers who watched a failed demo of the facial recognition technology during Apple’s event, and from Sen. Al Franken, D-Minn, who asked for more information about the feature. Apple’s software engineering chief Craig Federighi talked about Face ID in various interviews after the iPhone X was revealed earlier this month. Now, Apple has released the document with detailed information on the facial recognition technology. The security paper starts off with how the Face ID works. The facial recognition feature will take the place of the Touch ID. With a glance, the Face ID will work to unlock the device, confirm Apple Pay payments, use Animoji (Apple’s new customized animated emoji) and with third-party apps. 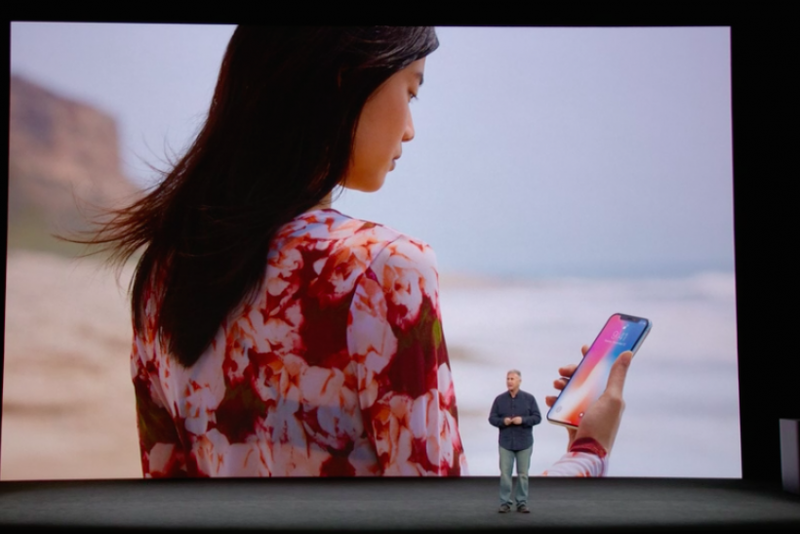 Face ID runs through the iPhone X’s TrueDepth camera system, which maps the user’s face. “Face ID confirms attention by detecting the direction of your gaze, then uses neural networks for matching and anti-spoofing so you can unlock your phone with a glance,” Apple said in the paper. • The device has just been turned on or restarted. • The device hasn’t been unlocked for more than 48 hours. • The passcode hasn’t been used to unlock the device in the last 156 hours (six and a half days) and Face ID has not unlocked the device in the last 4 hours. • The device has received a remote lock command. • After five unsuccessful attempts to match a face. • After initiating power off/Emergency SOS by pressing and holding either volume button and the side button simultaneously for 2 seconds. Apple added that the probability of someone’s face unlocking another device is unlikely. The iPhone X’s TrueDepth camera projects and reads over 30,000 infrared dots that maps a person’s face. That data, along with a 2D infrared image, are transferred to the Secure Enclave. The information is only available to the Secure Enclave and never leaves the device, is not sent to Apple and is not included in device backups. • The infrared images of your face captured during enrollment. • The mathematical representations of your face calculated during enrollment. • The mathematical representations of your face calculated during some unlock attempts if Face ID deems them useful to augment future matching. To use Face ID with Apple Pay purchases, users will have to confirm intent to pay by double-clicking the side button, like on the Apple Watch. Users then authenticate by using the Face ID before placing the iPhone X near a contactless payment reader. Users will do the same for in-app and online payments. If the transaction fails to go through within 30 seconds of double clicking, users will have to reconfirm intent to pay by double-clicking again. Face ID can recognize the user’s face even the person changes their facial hair style. Wearing hats, scarves, glasses, contact lenses, and certain sunglasses won’t affect the use of Face ID. the technology works indoors, outdoors and in environments that are completely dark. The feature comes with an “additional neural network that is trained to spot and resist spoofing defends against attempts to unlock your phone with photos or masks,” something that Samsung’s Galaxy S8 struggled with. Apple will begin taking pre-orders for the iPhone X on Oct. 27 and will launch the device Nov. 3. The 10th anniversary device will be offered in 64GB and 256GB starting at $999.